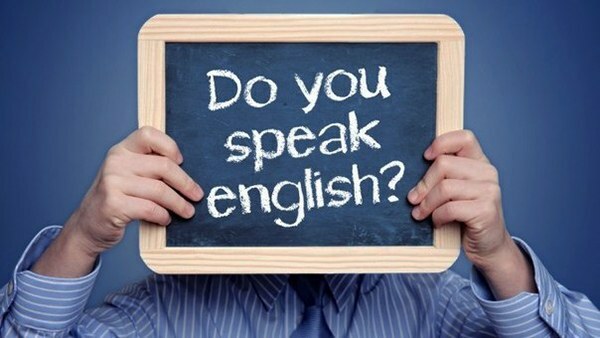 Often people studying the English language, face difficulties in determining the times in the English language. In order to understand this, you need to grasp one simple thing: the English, like all other people, 3 times (present, past and future). But the action types can be divided into four groups. Easier to talk about examples, so we go directly to him. So, regular actions. They can be held in any of the three times. Let's take the verb "to write". Present Simple: He writes. Since it is a regular action, it is possible to expand the offer: He writes every day. In English this sentence means “He writes”. Common question: “Does he write?”. Special question: “What does he write?”; “Who writes?”. Past Simple (past tense): “He wrote” (He wrote yesterday). Questions: “Did he write?”, “What did he write, Who wrote it?” etc. Future tense (Future Simple): “He will write” (He writes). Questions: “Will he write?”, “What will he write?”, “Who will write?”. The time of Continuous indicate actions happening at the moment. “He is writing,” He says now. Questions: “Is he writing?”, “What is he writing?”, “Who is writing?”, “Is he writing or reading?”, “He is writing, isn't he?” etc. Past Continuous: He wrote yesterday at 3 – “He was writing at 3”. Questions: “Was he writing?”, “What was he writing?”, “Who was writing?” etc. Perfect tenses indicate completed by a specific moment of the action. Present (Present Perfect) – “He has written” (He wrote). Questions: “Has he written?”, “What has he written?”, “Who has written?” etc. Past tense (Past Perfect) – “He had written by 3” (He wrote yesterday to 3). Questions: “Had he written?”, “What had he written?”, “Who had written?”. Future tense (Future Perfect) – “He will have written by 3” (It will write tomorrow to 3). Questions: Will he have written?”, “What will he have written?”, “Who will have written?” etc. Past Perfect Continuous: “He had been writing for 2 hours” - He wrote for two hours (when the phone rang). Questions: “Had he been writing”, “What had he been writing?”, “Who had been writing?” etc. And Future Perfect Continuous: “He will have been writing for 2 hours” - He would write for two hours (when the phone rings). Questions: “Will he have been writing?”, “What will he have been writing?”, “Who will have been writing?” etc. How does the English verb to understand and just difficult. For this you need to be a little bit of a mathematician, since the formation of temporary forms takes place according to a clear formula. But, when you have learned the rule, I fixed it in speech, you can speak English and adjust those times depending on the purpose of communication. Vido-temporal system of English consists of 18 times in the active and passive voice. Bi-linguistic dictionary, table of irregular verbs, grammar, Internet access to online lessons and grammar exercises. To begin, understand what is the difference between the times uncertain - Indefinite, long - Continuous and complete - Perfect. Undefined we ask the questions: "What did you do? What are you doing? What do I do?". To long we ask the questions "What did you do in a certain period of time? What are you doing now? What I would do in a certain time?" Agree, there is a difference between verbs, for example, "go" (doing What?) and "go" (What do I do now?) Times to complete we accordingly ask the questions: "What did? What can you do?" Remember the formula of education time present indefinite – Present Indefinite. In the present tense, the verb behaves almost invariably. Take any verb from the dictionary and Sprague: I go, you go, we go, they go. The only difference is the conjugation with pronouns 1 person singular. We have to talk: he/she goes. Add the ending – s or –es if the verb ends in –o or whistling and hissing sounds. For example, watches. In the past indefinite – Past Indefinite – add the correct verb ending –ed. Walk – walk/ walked – walked. If the verb is incorrect, use the second form from the table of irregular verbs. Go – go/went – went. For the formation of the future indefinite - Future Infefinite - we take a verb from the dictionary and just put in front of him two words shall and will. These words can be easier to call words, indicators of the future time. It looks like this: I shall go we shall go you will go he/she will go and they will go. For the formation of Continuous we use the auxiliary verb to be, and to the semantic verb, add the ending-ing. In time Present Continuous - present continuous formula as follows: I am reading now you are reading now, he/she is reading now, we are reading now and they are reading now. In the past tense, the problem is simplified because the auxiliary verb to be in past tense has only two forms - was - for singular and were for plural. The formula for the conjugation will be relevant: I was reading at 6 o'clock, you were reading at 6 o'clock, he/she was reading at 6 o'clock, we were reading at 6 o'clock, they were reading at 6 o'clock. In the future time occurs as a logical transformation. We are still adding the ending –ing to the main verb, and instead of a single word-index of the future time, two – shall/will plus be. Don't forget to mark the exact moment in time. I shall be reading at 6 o'clock, you will be be reading at 6 o'clock, he/she be reading at 6 o'clock, we shall be reading at 6 o'clock, they will be reading at 6 o'clock. With sometimes complete – Perfect - always use the auxiliary verb to have and past participle main verb. If the verb is correct, we add to the semantic verb ending – ed to form this communion. If incorrect, the past participle is the third form of the verb table of irregular verbs. Elapsed time finished – Past Perfect – is not difficult to memorize and use. When translating, we ask the question, "What's done?" and when Sprague nothing has changed except the pronouns: I had read you had read he/she had read we had read they had read. With the future difficulty, will not occur. Enough to take the words indicators of the future tense shall and will, the word-index completeness – have and the main verb in the third form. Thus, it is possible to tell what you will do in the near future or distant: I shall have read we shall have read you will have read he/she will have read they will have read. In the English language, there are Perfect tenses Continuous, which are used for matching. To read and translate a serious text, you need to master the education formula and these categories, as well as the days of the passive voice. A separate study require modal and phrasal verbs. English irregular verbs do not constitute any difficulty. They just need to learn. Grammatische disagree on the exact number of irregular verbs. The maximum list is about 700-TA. However, all of these verbs you may not need. Use to start the model table of the 100 verbs. Learn a day for 10 verbs. Glue stickers mirror, fridge, monitor and learn. It will take only 10 days at memorizing the list of most popular irregular verbs.